The computer age has joined the Peace Corps, and the expected result is a bumper crop of information. 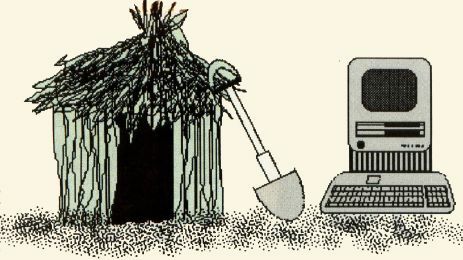 "The computers give the volunteers a chance to move into the electronic age," said James Flanigan, press officer for the United States Peace Corps. Using Macintoshes donated by Apple and software donated by Microsoft and Claris, volunteers can store and revise their field notes electronically. They can also share information with other workers more easily. Recordkeeping and data tracking will be more streamlined, said Flanigan. The Peace Corps has placed computers in 35 of the 66 countries it deals with.